CampSoftware is made up of a fantastic team of people who loves developing Apps to solve problems. 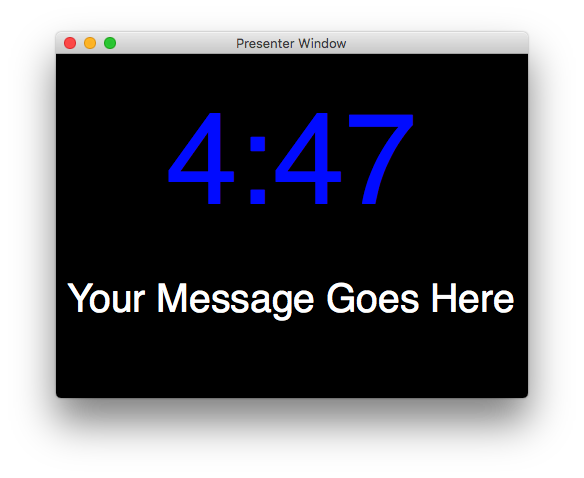 SpeakerCue is a confidence monitor for professional producers and presenters. 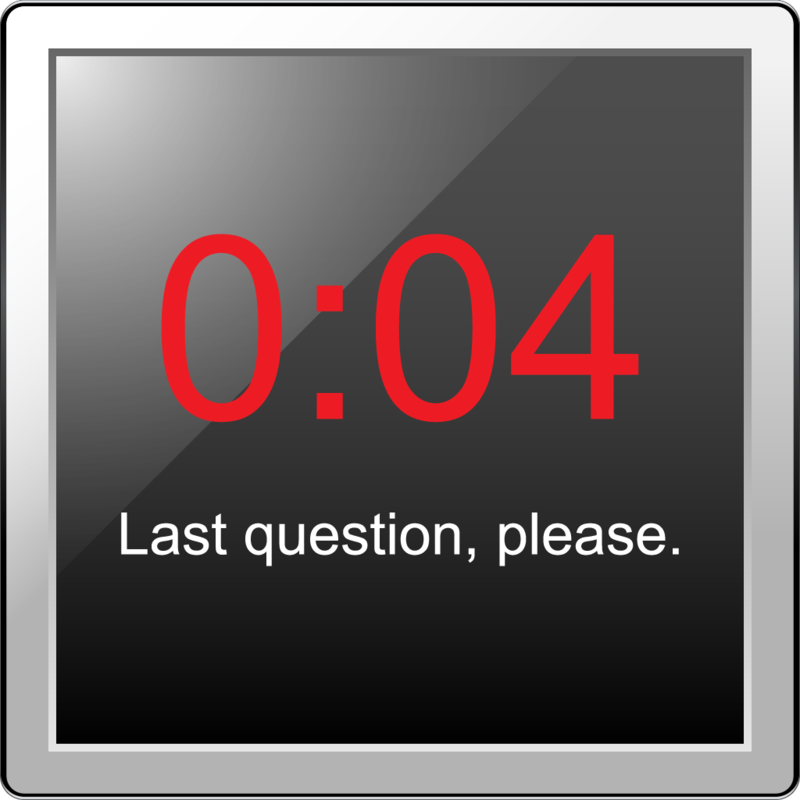 A Confidence Monitor is a computer display that faces the speaker, generally not visible to the audience, which displays information such as remaining time and information from the producer used to keep the speaker focused on their presentation. 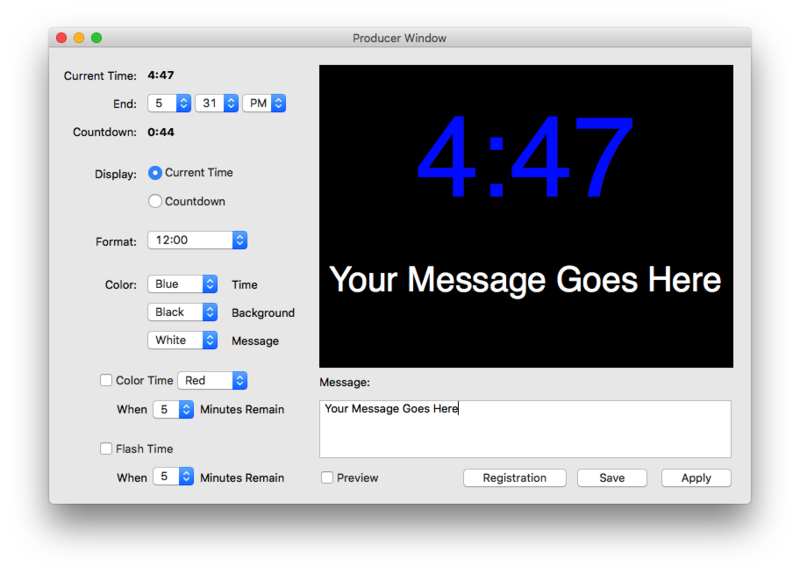 SpeakerCue is designed to run on Mac or Windows where the producer controls what is displayed on the confidence monitor. Ideally, the producer would use a laptop with an external display with the Producer Window on the laptop display and the Presenter Window on the external display within view of the speaker. After a year, you can keep using the version you registered as long as you like. After one year, upgrades are $20 which include another year of updates! Have an idea? Let us know and we'll add it to SpeakerCue, if it is a good fit. 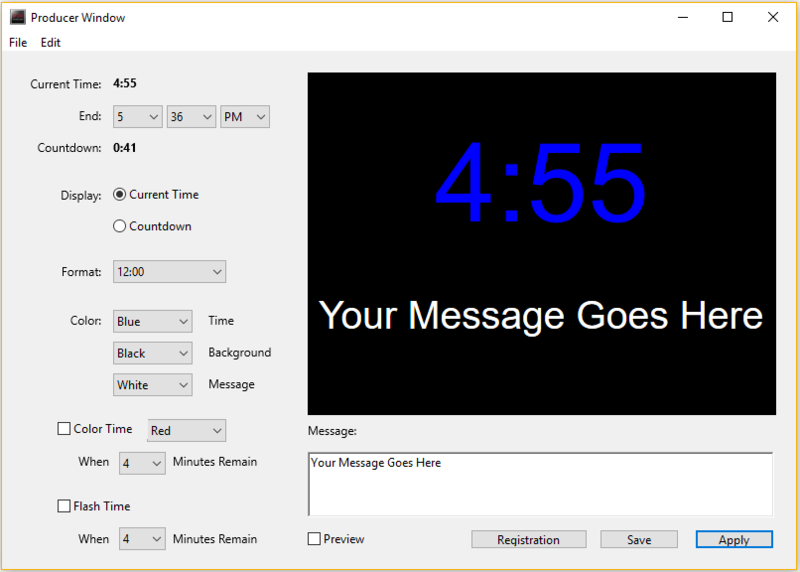 If it's not, we could make a customized version of SpeakerCue just for you! Q: Do you have any suggestions? 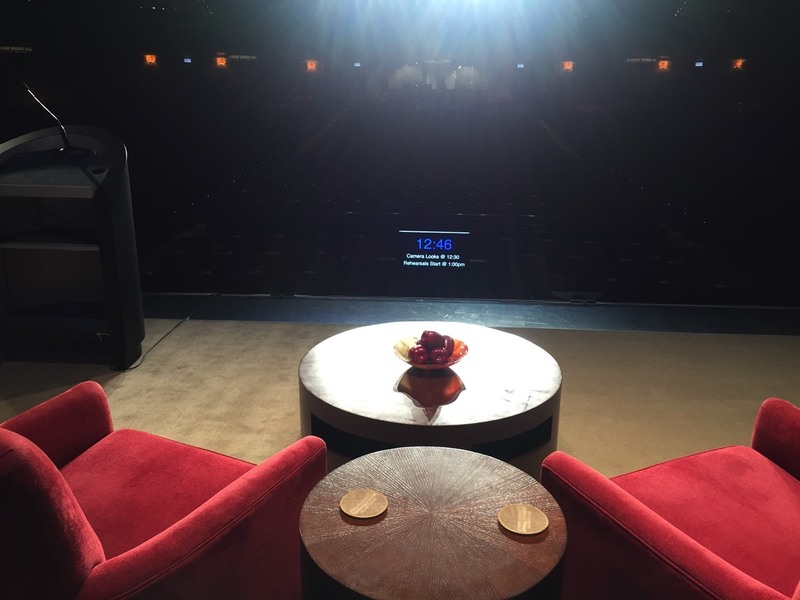 A: One suggestion would be to place your confidence monitor display on a guitar stand. 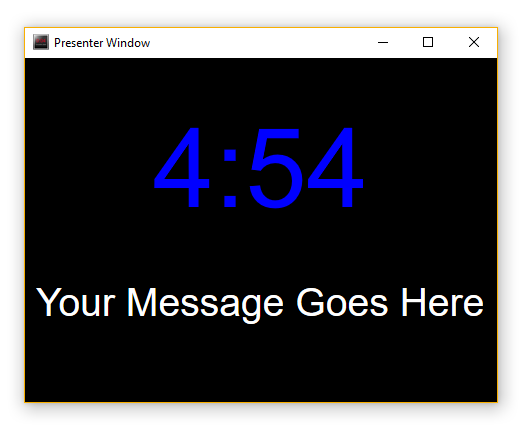 Doing so will angle the display to make it easier for the speaker to see. Q: Can you add a feature for me? A: That depends on what you need! :) Seriously, just ask and we'll try!